Hi ladies! 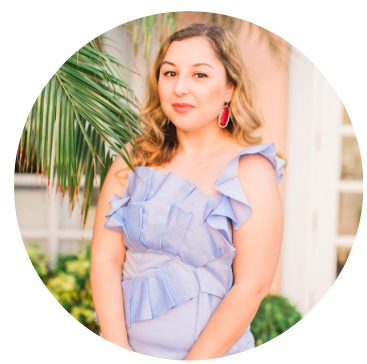 I'm so excited to share my experience getting the Brazilian blowout which can only be described in one way: life-changing. For years I've been debating on if I should do it (it is quite the investment!) and finally decided to do it since I'm moving to one of the hottest cities in the country and I knew that my hair would never stay straight and frizz-free in that heat. Not sure what the Brazilian blowout is? 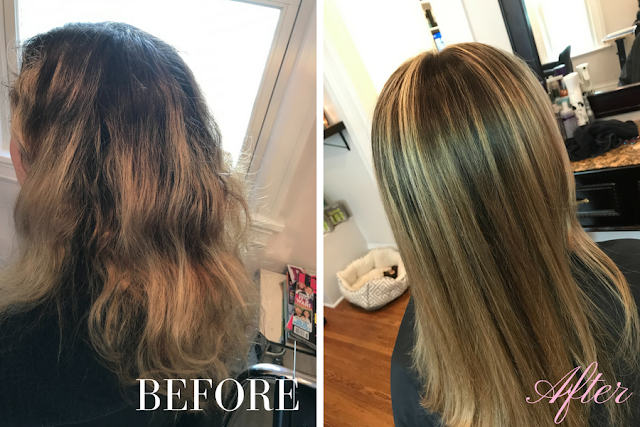 Here's a little bit of background: the Brazilian blowout is a smoothing keratin treatment that eliminates frizz, adds shine, cuts down on drying time, keeps your hair healthy, and can be customized. 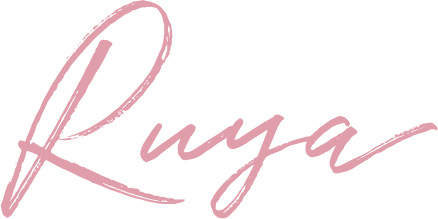 You have the option of relaxing your curls (which is what I did) or keeping the curls but eliminating all the frizz and poufiness. Keep in mind the Brazilian blowout works for straight hair as well! It just seems to be more popular for people with curly/wavy hair since it's so hard managing that kind of hair. The best part is that improves your hair by adding protein back into your hair and lasts for 3-6 months (depending on how much you wash it) and simply goes back to your natural hair texture afterwards. Here's the part that's tough, after all that straightening it was time to wash out the formula! haha. So in total, my hair was washed 5 times that day which includes when I got my highlights done! Crazy. Yet the results are completely worth the long process and price. 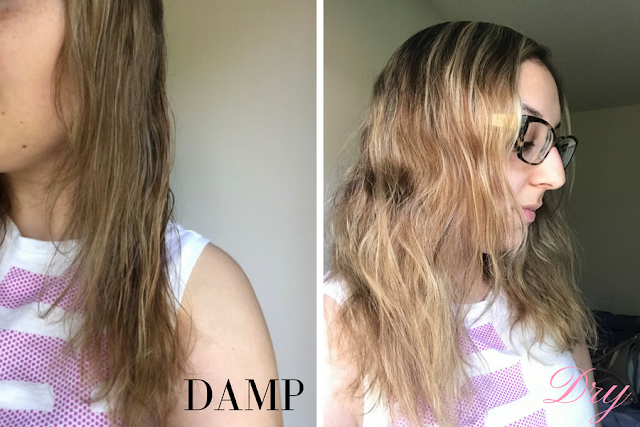 Instantly, I noticed a huge difference in the way my hair dried and it was smoother than I've ever seen it! Not one sign of frizz and no flyaways and there was so much shine! Plus I've never seen it this straight, no matter how many times I straighten my hair at home or at the salon, there's always a sign of poufiness but nope. Not anymore! Take a look at the before and after below. Today I washed it with the Brazilian Blowout brand shampoo and conditioner that was given to me at the salon and here's what it looks like when it's damp and when it's dried completely. About 90% of my natural curls are gone and it just looks like I have some pretty beach waves! Keep in mind there's NO products in my hair in these pictures and no heat has been used. Also, there's no signs of residue on my hair and it just feels soft and healthy. It's all just my natural hair which freaks me out so much since it's such a new experience for me to come out of the shower and still have my hair looks so good! haha. It would only take me a minute or two to blow dry my hair even straighter and be on my way which makes my life so much easier. I wish I had done this a long time ago! 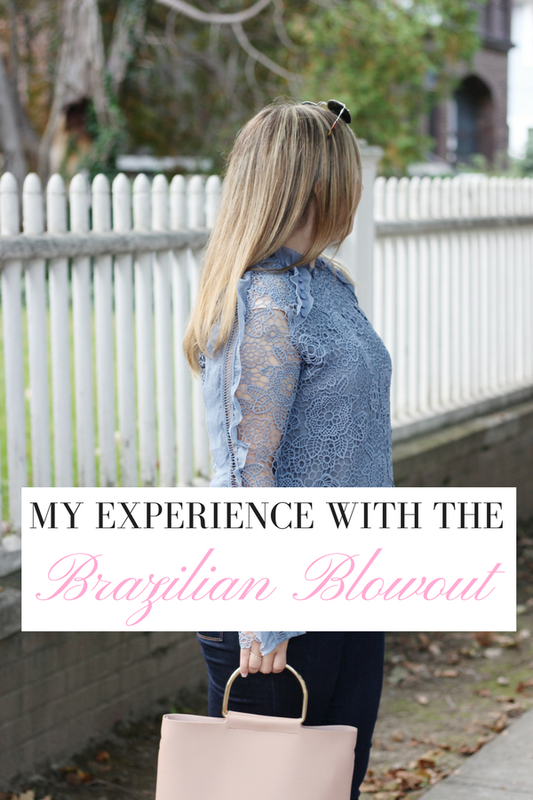 Long story short: if you're thinking about getting the Brazilian blowout then do it now! It's worth every penny and you won't have to waste time in the mornings getting your hair straight and then going outside and getting your hair messed up again. It's safe to say, I'm probably going to get this for the rest of my life haha. If you have more questions, feel free to leave a comment below.